Priplak R100 is a range made from 100% recycled PP. This product comes from unprinted post industrial polypropylene scap. To escape the volatility of raw material prices based on the oil price. 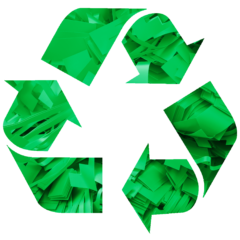 By organizing the recovery of PP scrap, Priplak produces a range of 100% recycled PP sheets. However, the availability of Priplak 100 is limited as it depends on the supply of recovered and reprocessed PP scrap.